The scoring system for Badminton. It can be used for all kinds of badminton matches. It supports the scoreboard displaying, wireless scoring and advertisement displaying. Can be used for 4-5 groups of matches at the same time. The referee of each group can scoring with the wireless controller. All score info will be displayed on the screen in real time. Must be used together with Badminton Scoring Software. 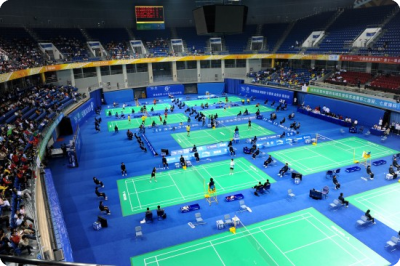 Be used together with Badminton Scoring Software. 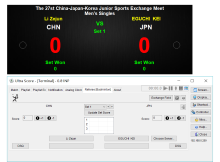 Displaying score information of the specified court will be realized when connect to Badminton Scoring System.